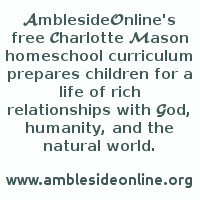 As a help for scheduling Year One of AmblesideOnline's curriculum, we are pleased to offer printable charts, the weekly assignments in list form below, or families may choose to use a modification of either for their own personal use. However, please see Our Fair Use Policy before sharing any part of the curriculum. An Island Story: chapter 1 "The Stories of Albion and Brutus"
Parables from Nature: "A Lesson of Faith"
This term, focus on explaining and teaching the following geography concept(s): The world is round. Left, right, front (before), back (behind) are positions; know which is which and realize they are dependent on perspective. An Island Story: chapter 2 "The Coming of the Romans"
Fifty Famous Stories Retold: "The Brave Three Hundred"
Blue Fairy Book: "Beauty and the Beast" OR "The Glass Slipper"
Burgess's Bird Book: chapter II "The Old Orchard Bully - The English or House Sparrow"
James Herriot's Treasury: "Moses the Kitten"
An Island Story: chapter 3 "The Romans Come Again"
Parables from Nature: "Law of Authority and Obedience"
James Herriot's Treasury: "Only One Woof"
Blue Fairy Book: "Why the Sea is Salt" (a man tells his brother to go the Dead; a ship sinks and all perish) OR "Felicia and the Pot of Pinks"
An Island Story: chapter 4 "How Caligula Conquered Britain, and How Caractacus Refused to be Conquered"
An Island Story: chapter 6 "The Last of the Romans"
Parables from Nature: "The Unknown Land"
An Island Story: chapter 7 "The Story of St. Alban"
An Island Story: chapter 8 "Vortigern and King Constans"
James Herriot's Treasury: "Bonny's Big Day"
Blue Fairy Book: "The Glass Slipper" OR "Beauty and the Beast"
This term, focus on explaining and teaching the following geography concept(s): Fixed direction (north, south, east, west). The sun shows direction: East is where the sun rises, west is where it sets. Stars (North or Pole Star, constellations) show direction and help mariners find their way. The length and direction of shadows can help us tell time as well as direction. 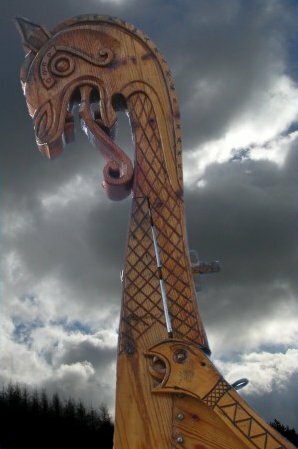 An Island Story: chapter 9 "The Story of the Coming of Hengist and Horsa"
Blue Fairy Book: "Master Maid" (Unnecessary cruelty to her suitors. Couldn't she just say no?) OR "Prince Hyacinth"
An Island Story: chapter 10 "Hengist's Treachery"
Shakespeare: "As You Like It"
Fifty Famous Stories Retold: "Sir Philip Sidney" (1586) and "The Ungrateful Soldier"
Parables from Nature: "Training and Restraining"
An Island Story: chapter 11 "The Story of How the Giant's Dance was Brought to Britain"
An Island Story: chapter 12 "The Coming of Arthur"
James Herriot's Treasury: "Blossom Comes Home"
An Island Story: chapter 13 "The Founding of the Round Table"
An Island Story: chapter 14 "The Story of Gregory and the Pretty Children"
James Herriot's Treasury: "The Market Square Dog"
An Island Story: chapter 15 "How King Alfred Learned to Read"
Parables from Nature: "Law of the Wood"
This term, focus on explaining and teaching the following geography concept(s): The round world can be divided into two spheres. The line dividing it across the middle is the equator; its parallel lines are latitude. The line where the earth meets the sky is called the horizon. An Island Story: chapter 16 "King Alfred in the Cowherd's Cottage"
James Herriot's Treasury: "Oscar, Cat-About-Town"
An Island Story: chapter 17 "More About Alfred the Great"
Viking Tales: "Olaf's Fight with Havard"
Viking Tales: "Foes' - Fear"
An Island Story: chapter 18 "Ethelred the Unready"
Viking Tales: "Harald is King"
Parables from Nature: "Daily Bread"
Blue Fairy Book: "The Forty Thieves" OR "Prince Darling"
An Island Story: chapter 19 "How Edmund Ironside Fought for the Crown"
Viking Tales: "Gyda's Saucy Message"
James Herriot's Treasury: "Smudge, the Little Lost Lamb"
Viking Tales: "The Sea Fight"
Shakespeare: "Twelfth Night; Or, "What You Will"
An Island Story: chapter 20 "Canute and the Waves"
Viking Tales: "King Harald's Wedding"
An Island Story: chapter 21 "Edward the Confessor"
Viking Tales: "King Harald Goes West-Over-Seas"
Blue Fairy Book: "White Cat" (The white cat is killed and the princess appears) OR "Princess and the Glass Hill"